Discovery Channel’s Shark Week came and went last month. But as if that wan’t enough man-eating carnage to last for a year, AMC is launching it’s own 4-hour long CSI: Miami shark day tomorrow. AMC will be showing four episodes from previous CSI:Miami seasons, and all have something to do with sharks. The shark day marathon starts with “Bait,” an episode from the second season of the series. Character Cindy Castiano, who hires herself out to wives to hit on their husbands (to see if they stray) is shot. Blood from the wound attracts a shark, and she receives a fatal bite. From there, we’ll get a season one flashback, “Wet Foot Dry Foot,” in which a man’s torso leads the CSI team into a world of politics and drugs. And next there’ll be “Blood In The Water.” This episode revolves around a family trapped upon a slowly burning yacht located in shark-infested waters. The CSIs must investigate the event and figure out exactly how it happened, following the death of a young family member. The four-hour run of shark related CSI: Miami episodes is set to wrap up with “Open Water,” from season four. It involves a shark eating a man alive while the man is on his honeymoon. The question for the CSIs is, of course, who pushed him overboard? This episode features guest star Sherilynn Fenn of “Twin Peaks” fame. 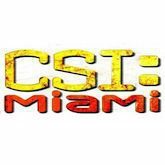 CSI: Miami shark day is to be broadcast on AMC tomorrow, September 26, starting at 4pm Eastern/3 Central time.